In the fall of 2010, AT&T stores nationwide installed a mysterious shroud housing some sort of exhibit. Even employees didn't even know what was inside, and anyone caught tampering with the makeshift wall in order to find out was terminated. What was this strange hype-building marketing ploy? A new iPad? Perhaps it was some secret Android device that nobody had heard of? The atmosphere was thick with suspense. 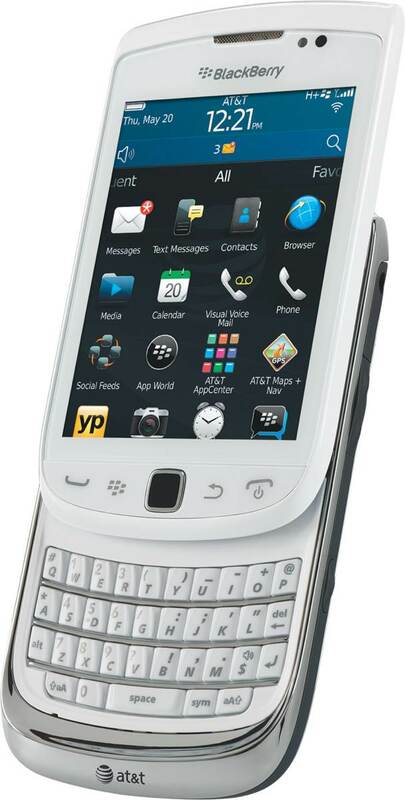 When the curtain was finally lifted, it turned out to be... a BlackBerry Torch 9800. This curious marketing attempt must've worked at least to some extent, since Research in Motion decided to tempt fate a second time with the Torch 9810. Known in its early days as the "Torch 2," the new version of the portrait QWERTY slider was released to much less pomp and circumstance. 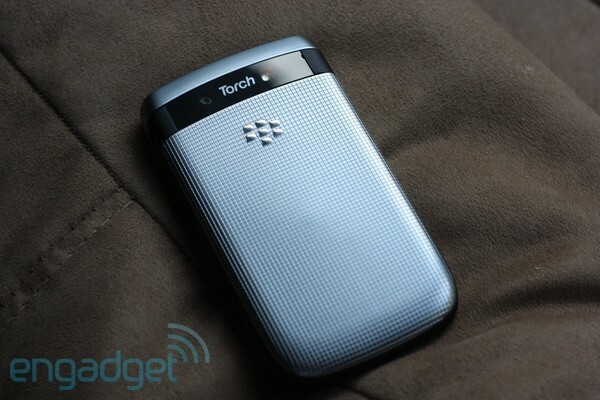 This time it was unveiled alongside two new BlackBerry BFFs: the Bold Touch 9900 / 9930 and the Torch 9850 / 9860. The 9810 in particular wasn't a surprise because we'd been given the opportunity to preview the device in May. Though it's nearly identical to the original, it packs a processor that nearly doubles the speed -- a behind-the-scenes upgrade culminating in a night-and-day contrast. But how does it fare against the blooming market of superphones that are flooding the market? And is this the best BlackBerry you can buy today? Let's find out. Phone sequels have a habit of improving upon their predecessors in several ways -- after all, that is the point of coming out with a new model, right? The whole idea of blessing the world with a follow-up is to make it sleeker, faster and more feature-rich. Research in Motion nailed almost all of those points in the Torch 9810, with the exception of one crucial element -- the phone's size. In fact, the 9810 has identical dimensions to its predecessor: 111 x 62 x 14.6mm (4.37 x 2.44 x 0.57 inches). The lack of variance in its overall mass is somewhat disappointing, given that we're now seeing QWERTY sliders on the market as thin as 13mm. That's not to say the new Torch is entirely the same. Even though the design, buttons, ports and everything in between are identical, it's at least available in different colors to help you spot one on the street. Our unit had a gunmetal grey finish with a checkerboard pattern on the back cover that does a good job of masking fingerprints. As an additional flourish, it's also topped off with a nominal black trim that stretches around front bezel, onto the camera and around the upper back side. Just below the extra-hardened glass display on the front lie the navigation keys: phone, menu, trackpad, back and home / power. 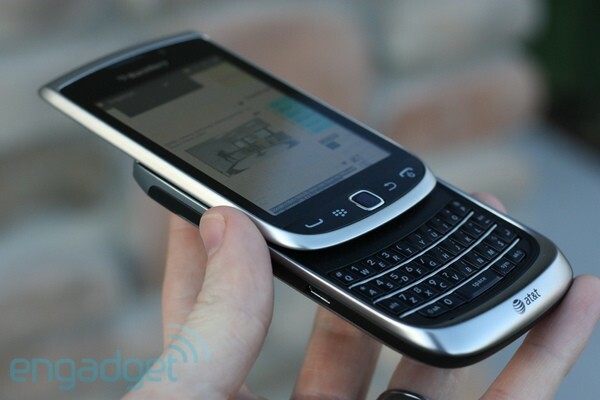 These buttons (aside from the trackpad, of course) are as much a staple of the BlackBerry lineup as BrickBreaker is. On the left side resides a lone micro-USB port, while the right side houses the volume rocker and Convenience Key, a shortcut button that's also no stranger to RIM. The top, meanwhile, is home to the mute and lock buttons. The slider mechanism runs on an invisible metal track and doesn't feel loose at all; on the contrary, with the difficulty we had pushing up the phone to expose the keyboard, it felt a little too firm. All told, it feels like it's a solid enough phone, but it's not actually made of solid parts, so we'd be afraid of dropping it too often. The Torch series thus far has done an appropriate job of endowing its phones with the "BlackBerry look" while still attempting to go modern. Unfortunately, the company's idea of modern is -- shall we say -- different. Even last year, we were saddened by the 9800's plain, outdated digs. It was sturdy and solid, yes, but it just doesn't have the same gusto when held up next to other touchscreen phones. Much to our dismay, the Torch hasn't changed a bit. Why is this? BlackBerry devices are generally well-crafted and the result of a lot of TLC, so perhaps RIM felt it too risky to experiment with "fresh" designs at this stage in the game. That, or the company considered the original Torch a raging success and decided not to change what it thought was golden. It was more worthwhile to dwell on the thing that earned its phones the most complaints: those pesky internals. And that's exactly where the new Torch sequel shines. A major feature present in every device running BlackBerry 7 is an accelerated graphics UI called "Liquid Graphics." Essentially, it allows for the best touch sensitivity that we've experienced on any BlackBerry to date. We weren't too crazy about the original Torch's touchscreen, and gone are the days of the SurePress debacle on the Storms. RIM has finally figured out how to make its phones as responsive as the likes of Android, iOS and WP7, and we found our experience with the 9810 to be up to par with other flagship handsets. Though the 9810's display is the same size at 3.2 inches, it glows at a 640 x 480 resolution, up from 480 x 360. That's still not quite HD resolution, sadly, but it's significantly more up-to-date than the 9800 and is much more satisfying to view. It's also larger than the Bold Touch 99xx by a considerable .4-inch margin. What's more, the bigger screen offers a better media playback experience and makes it easier to take full advantage of the phone's new touch-optimized OS. One of our major beefs with the original Torch was its lack of oomph. While the OS was a significant improvement, its paltry 624MHz CPU and 512MB of RAM were subpar compared with the specs belonging to other flagship devices on the market at the time. To boot, we were further disappointed by the lackluster circa-2008 display and the 5 megapixel shooter with no HD video recording capabilities. Even more unfortunate, these ho-hum specs still represented a decisive boost over the previous generation of BlackBerrys. With the 9810, however, it's a whole different ballgame. RIM kicked up the phone's engines respectably, throwing in a 1.2GHz single-core CPU accompanied by a dedicated Adreno 205 GPU -- the same one, interestingly enough, found in the Sony Ericsson Xperia Play. RIM also increased the RAM to 768 MB -- a decent jump from 512MB. That's right, Waterloo is brandishing some big guns and the Torch is finally starting to look like the kind of BlackBerry we've been awaiting for years. And there are other welcome refinements under the hood as well. Internet connectivity has been remarkably improved over last year's model, pushing forward with an HSPA+ radio capable of achieving speeds of 14.4Mbps down and 2Mbps up; this slots the phone in the middle of the proverbial pack, though the latest flagship devices are typically able to hit much higher 4G speeds. The 9810 also packs more internal storage, offering 8GB of space compared to the OG's 4GB capacity. Like the last-gen iteration, this one has a microSD slot, with support for cards as large as 32GB. But be forewarned: there's a ceiling on application storage on the device, held at 189MB. Bigger apps are required to stay under 7MB when initially downloaded, but the remainder of each program or game can be downloaded via WiFi once you've launched them for the first time. The aforementioned microSD storage can assuage some of these concerns, but the catch is that each app has to be explicitly written to allow this opportunity -- and even then, the app's core executable storage still needs to reside within the device itself. Why there's a limit at all when the phone has plenty of room for apps is beyond us, but it doesn't give developers any more incentive to publish anything for the BlackBerry platform. Curiously, one component in particular was actually downgraded, and it's the most surprising of them all for RIM -- its battery. While the Torch 2 was the victim of a downgrade in battery capacity from 1,300mAh to 1,270, it actually has better longevity. The change here is likely due to a more efficient OS and its next-gen CPU. We'll dive into more detail on the battery later, but here's a spoiler: it's a BlackBerry, and it's the company's biggest strength for a reason. Just like the rest of the phone's cosmetic appearance, the keyboard remains unchanged from the previous version. Again, it's a matter of determining whether or not RIM should make an adjustment to something that's already proven. One of the few staples that keeps customers coming back to the BlackBerry brand is its keyboard, and it continues to set the bar for traditional QWERTYs. It's thinner than any 'board you'd find in the Bold series, lending to scrunched-up keys, and the buttons have more of a give when you press them. Yet, by taking advantage of ridges on each individual key, it possesses a more natural feel. The Torch 9810 also has a virtual keyboard available for anyone that doesn't feel like pushing up the slider -- we understand, it's a lot of work. The BlackBerry platform offers excellent shortcuts when typing as a way to drastically cut down on typing times. And while it works best on the hard keyboard, it's also pretty easy to use whilst tapping away on the virtual equivalent. Portrait mode can still be rather smushed, whereas landscape mode adds much more breathing room to your virtual typing experience. At first blush, it may seem as though the camera was another stale aspect of the phone - after all, RIM once again opted for a five megapixel shooter, just as it did with the other two members of the Torch family. There's a lot more to it than just megapixel count, however. The digital zoom was extended from 2X to 4X, and geotagging and Face Detection were also added to the 9810's still camera. The continuous autofocus on the Torch 9810 gives us the opportunity to enjoy little to no lag when snapping image -- a boon when trying to take pictures of moving objects or smiling babies. If it doesn't fit your needs, though, there are options for single-shot and zero autofocus for your choosing. Macro shots turned out much better than those taken on the 9930's EDoF lens. The camera took respectable photos at all times of day -- a cloudy morning, high noon and low-light evenings all offered the right amounts of exposure. It's not going to replace your DSLR, folks, or even compete with the Nokia N8 or T-Mobile myTouch 4G Slide, but it's on the high-end for a BlackBerry. The largest feature improvement in the camera was the inclusion of 720p HD video capture, a welcome addition to one of the brand's most neglected features in the past. Finding a BlackBerry with any decent camcorder has been somewhat of a pipe dream, but the faster processor now gives the phone a good chance to keep up with the increased demand necessary to process an HD movie. We noticed a slight amount of occasional choppiness and distortion when capturing items in motion, but otherwise reflected its high-def status fine. Unfortunately missing from the Torch family altogether is a front-facing camera, which means video chatting and taking silly self-portraits are both out. The 9800, a device running BlackBerry 6, proffered one of the most radical overhauls to the brand's user interface in its history. Taking full advantage of the Torch's capacitive (and non-SurePress) screen, its user experience echoed something we'd more or less expect to see on... well, just about any other smooth and fluid OS. If you're expecting a similarly overwhelming reconstruction this time around, you're not going to find it. In fact, BlackBerry 6.1 7's UI is true to the original Torch in almost every way. With that said, the seventh version of RIM's platform does bring some massive improvements to the table -- they're just mostly running behind the scenes. Sadly, the eerily similar UI also means a couple hefty irritations from version 6 carried through to the new update. For one, the notification menu's only accessible from the main screen; we can be knee-deep in another app when the red LED light begins flashing, indicating a new notification awaits us. Instead of being able to access our notifications directly from that app, however, we have to back all the way out to the main page and enter the proper menu from there. This method is entirely unfriendly to users and forces us to put our current projects on pause, just in case an important message is coming through. It's just a smidgeon more convenient to have the ability to peek at what notifications await us without having to leave the application we're currently in. Again, not the end of the world, but it is a minor frustration. The other annoyance with the user interface is the absence of a true home page in which we can put widgets, folders, and other shortcuts on. There is a home page, but the app tray can be minimalized to reveal a large display full of... nothing. No customization options are available for this space whatsoever, so it's essentially a great way to admire your wallpaper. This is a waste of a perfect opportunity for the user to make BlackBerry devices their own. We dove head-first into the software and features of OS 7 in our review of the 9930, so we won't get too deep into the details here; feel free to check out the review to get the full scoop. One feature we do want to cover, though, is the HTML5-capable browser finally introduced in the new update. Pages loaded significantly faster (RIM claims a 45 percent speed boost), the pinch-to-zoom felt incredibly smooth and each adjustment rendered rapidly, and the phone managed to score 2,935ms on SunSpider -- which, oddly enough, doesn't match up with the browser performance on the Torch 9850 or Bold 9930, both of which are running the same internals. Aside from the browser's performance, our time with the Torch 9810 passed relatively bug-free. We were only forced to hard reboot our phone once as a result of our tendency to push the device's multitasking capabilities to the limits, but otherwise the experience was flawless. Our loathing for the infamous ticking clock that appeared in so many BlackBerry phones before rarely reared its ugly face; when it did show up, it was only for a brief moment and was gone before we even realized it was there. Call quality is about what you'd expect from the brand -- loud and clear, very few dropped calls and all-around easy on the ears. Similarly, our experience with battery life was just as good. True to form, the 9810's juice pack is so refreshing when we're used to dealing with rapid battery drains on both Android and iOS; it took a full seven hours and ten minutes to go from full to empty in our classic video rundown test, and the device was easily able to run through the entire day with power to spare when we pushed the phone to the edge of insanity with our constant emailing, media playback, web browsing and other battery-sucking activities. Of course, another underlying issue in all of this is the fact that BlackBerry's App World is getting further and further behind its biggest competitors, and the app storage ceiling -- paired with the lackluster selection -- aren't helping the latest lineup one bit, regardless of the phone's powerful GPU. 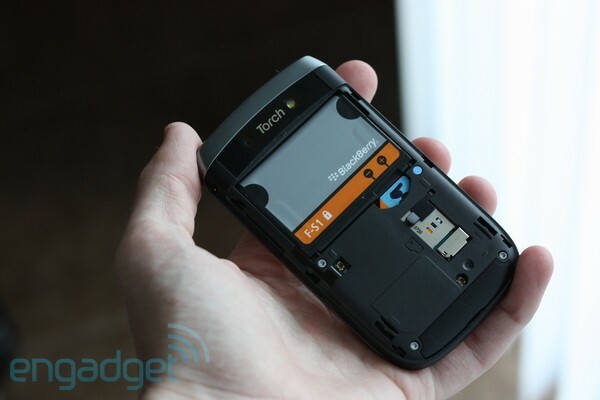 The Torch 9810 almost sparks our interest as a relevant device... almost. RIM's definitely aiming for the sky by making a leap in the internal components of its phones, turning it (and the Bold Touch 9930) into the most powerful handsets Research in Motion has ever sold. With the upcoming QNX platform, however, it may be too little too late. Sure, the device is solid and smooth and has great internal specs, but is it one that we'd feel comfortable using on a regular basis? 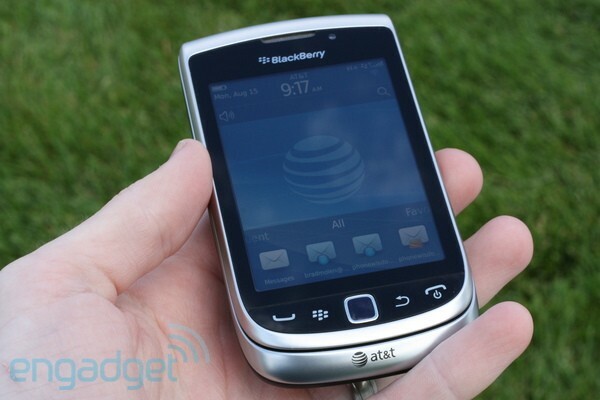 Especially when we have an inkling as to what's around the corner for the BlackBerry lineup? It's hard to justify plunking down hard-earned cash and committing to a two-year contract for a device that'll likely be obsolete a few months from now, but BlackBerry enthusiasts will enjoy using the Torch 9810 because it's a much more powerful phone than what they've been used to in the past. Newcomers? Probably not so much, given the large number of choices out there with a fresher user experience. It's a notch above any BlackBerry that's been released already, but it seems to be a victim of its own design and circumstance. 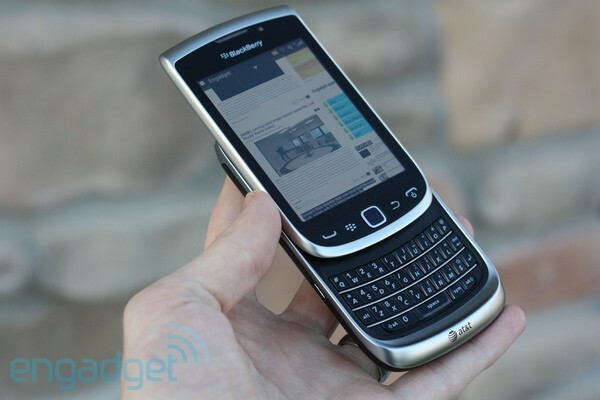 The 9810, alongside the Torch 9850 and Bold Touch 9900, is as good an indication as any that RIM isn't close to giving up. But first it must do a better job of catching up. The Torch 9810 may very well be at the end of the road, but we'll see if RIM can switch back onto the right path.